You are currently browsing the Engineers Without Borders at Boston University blog archives for June, 2012. 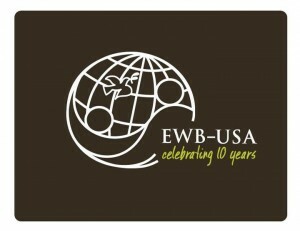 As of Wednesday, June 6th, EWB has had its 10th birthday! Ten years of commitment to the application of engineering principles to raise the living standards of the world’s poorest. Today is a great day to remember how far this group has come. The dedication of all of the EWB members has resulted in the betterment of 2.3 millions lives in 48 countries! Many lives have been improved as a result of EWB’s dedication. It’s great to say that the existence of this group and the commitment of these members has actually made a visible impact. Today should also be a day to look at the present and the future, and to answer the questions that arise. What are we working on right now? How can these projects and implementations be made better? In what other ways can we help to make a difference? What are our plans from the future? Where do we go from here? Being complacent is not an option. Already, this group has come so far. This needs to continue so that we can continue to make an impact. Happy 10th Anniversary to EWB!